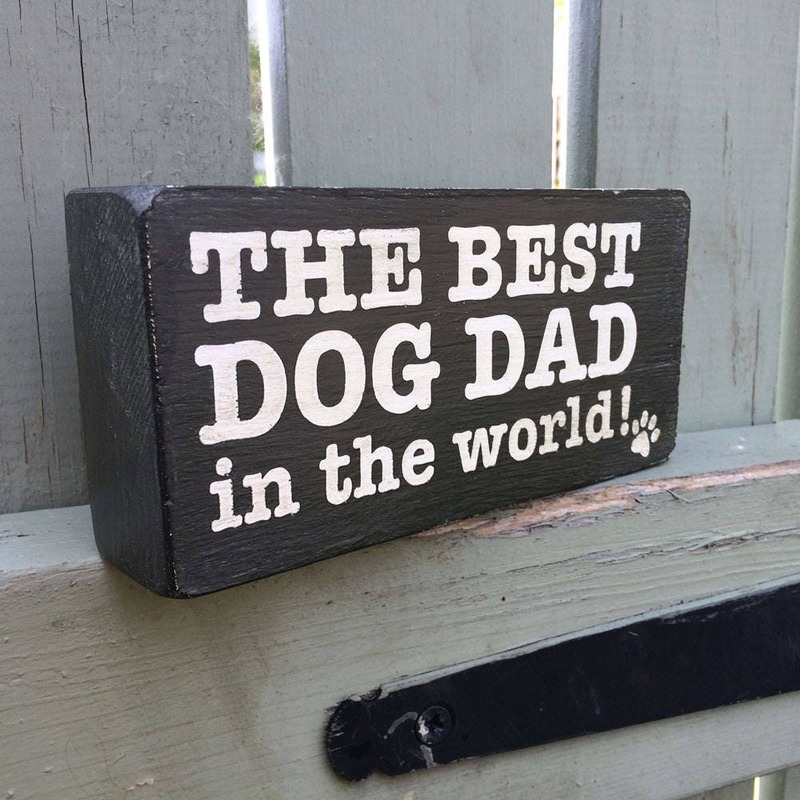 Father’s Day, dad’s birthday, just because, our handmade ‘The Best Dog Dad in the World’ dog sign is sure to be appreciated. This chunky, shabby chic wooden block dog sign makes a great gift for any dog dad, or why not treat yourself? Use it as a paperweight or just sit it on a shelf and bring some humour into your hectic life. Approximately 140mm x 70mm x 25mm and weighing in at 180g (6oz). Colours may vary due to different monitor set ups. This item has a Plymouth Grey background and Antique White lettering. Great, unique father's day gift and arrived quickly considering the distance it was shipped from. Nice gift for a dog dad!